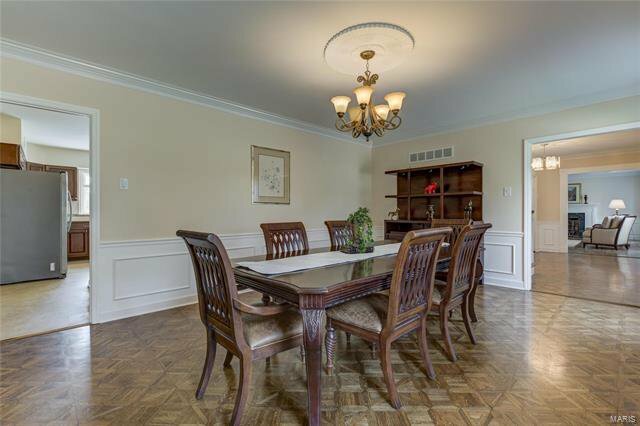 Live in prestigious Muirfield. 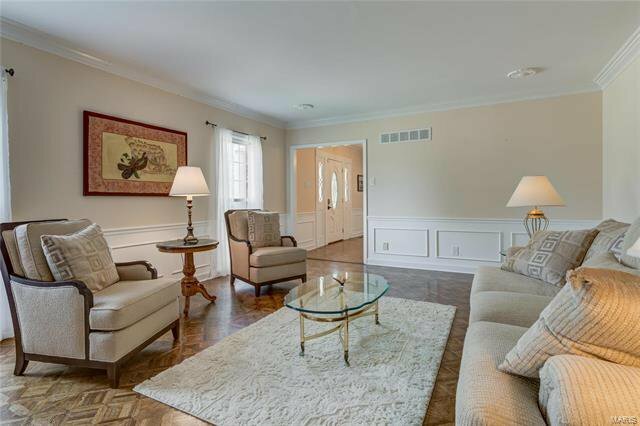 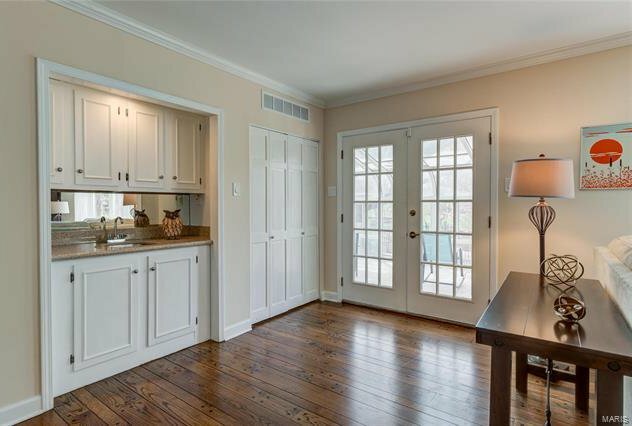 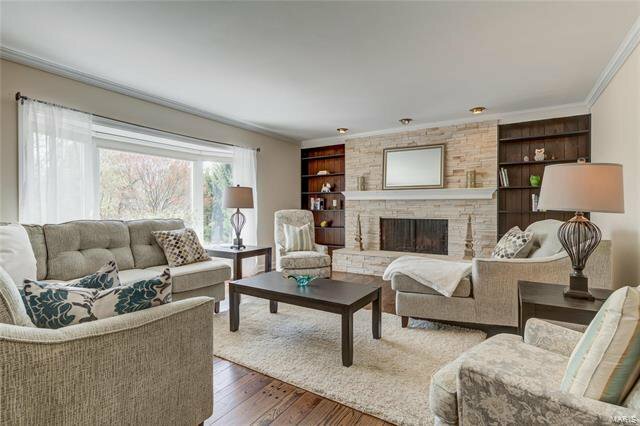 Gracious executive home on a park-like 1.157 acre lot that adjoins the 9th hole of Bellerive Country Club. 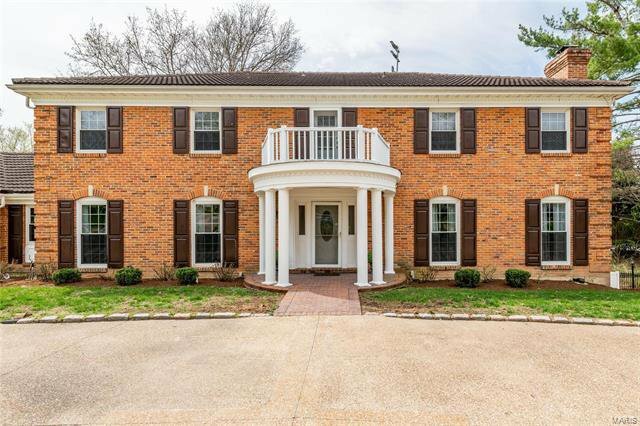 The all brick estate features large entertaining areas, both inside and outside of the home. 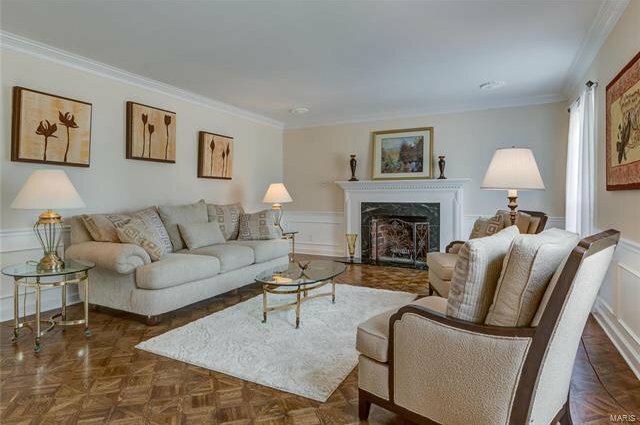 Formal living room with fireplace and a lovely dining room. 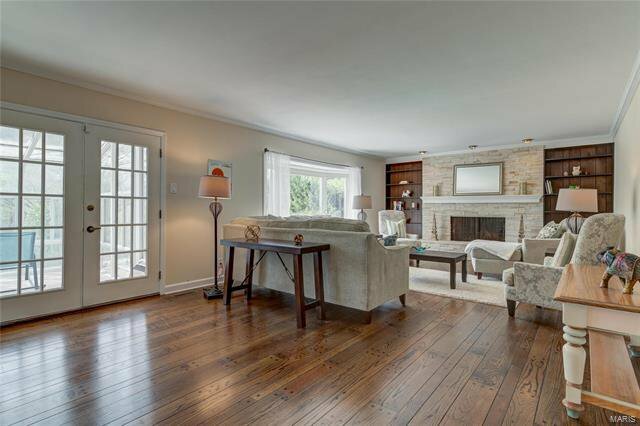 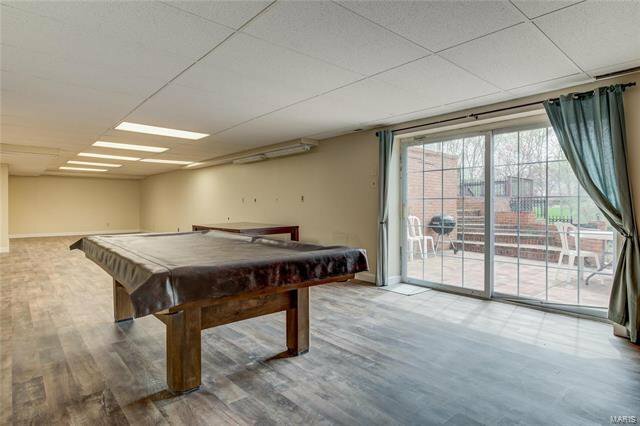 Family room with fireplace and wet bar that overlooks the backyard and swimming pool. 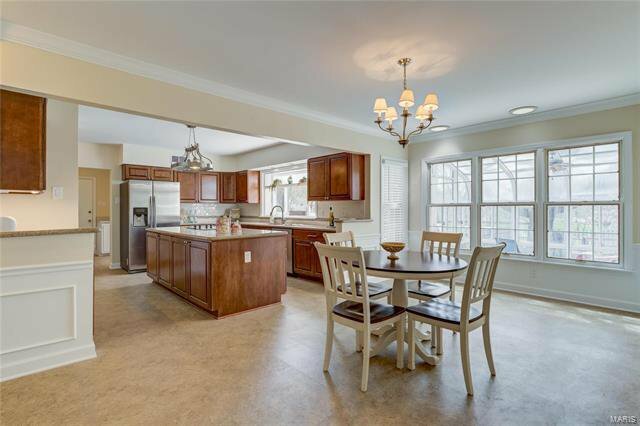 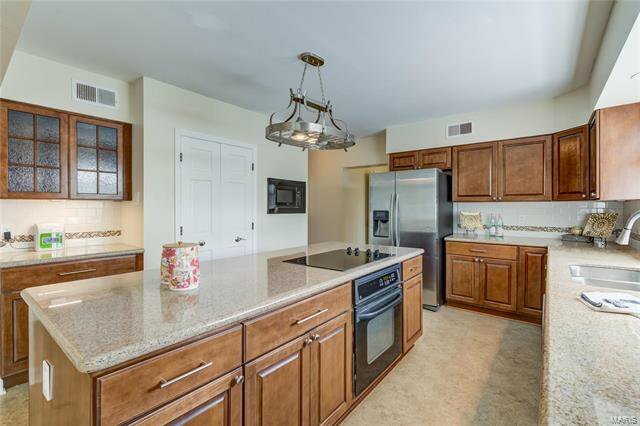 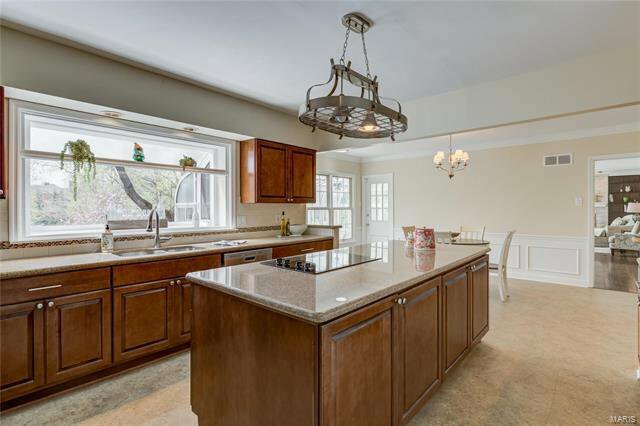 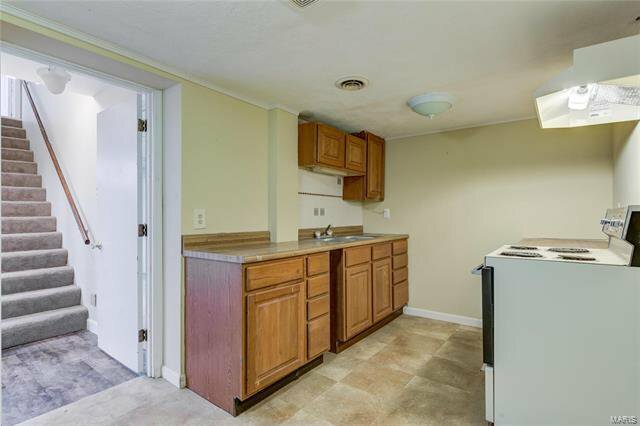 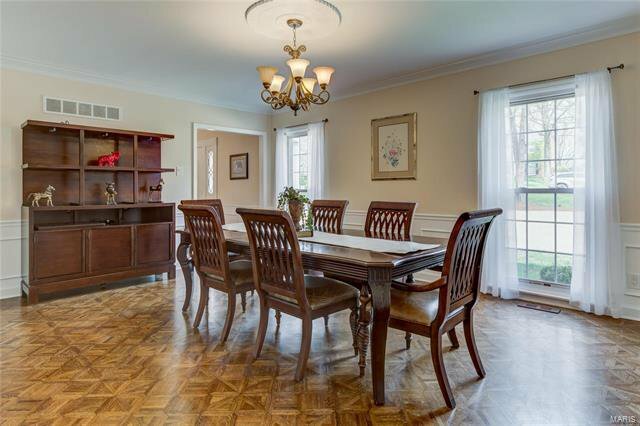 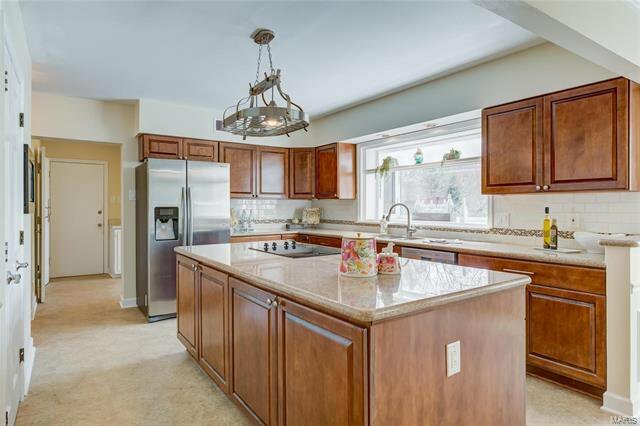 Large kitchen with granite counters, breakfast room, pantry and center island. 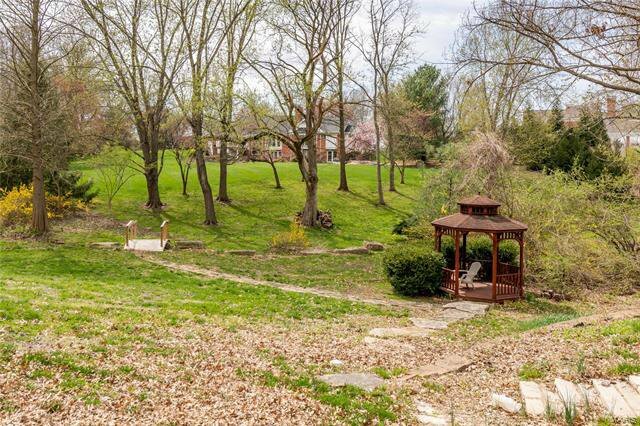 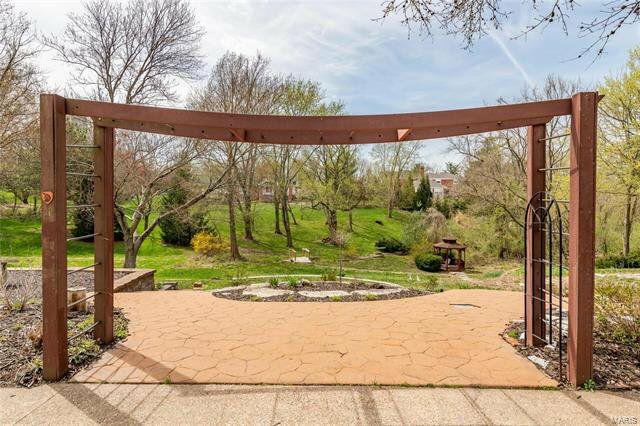 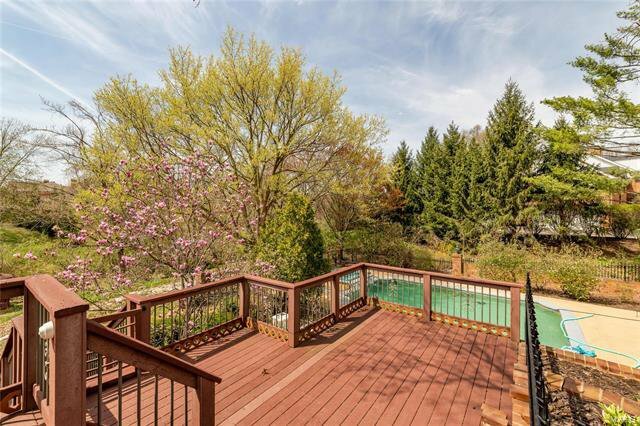 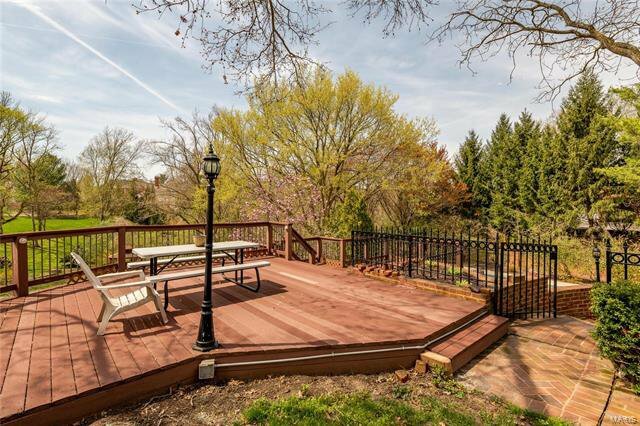 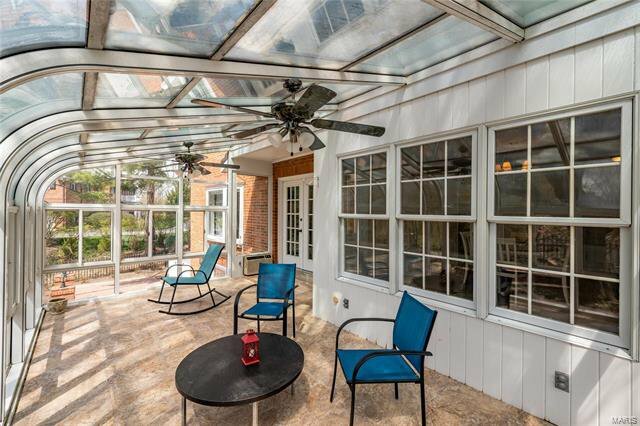 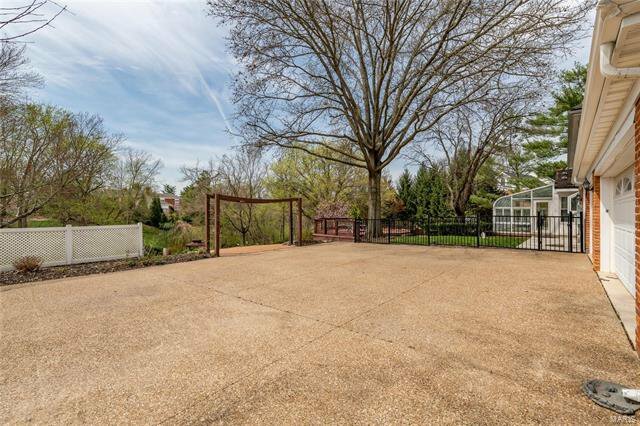 Off of the kitchen is a solarium with views of the patios, mature trees and gazebo. 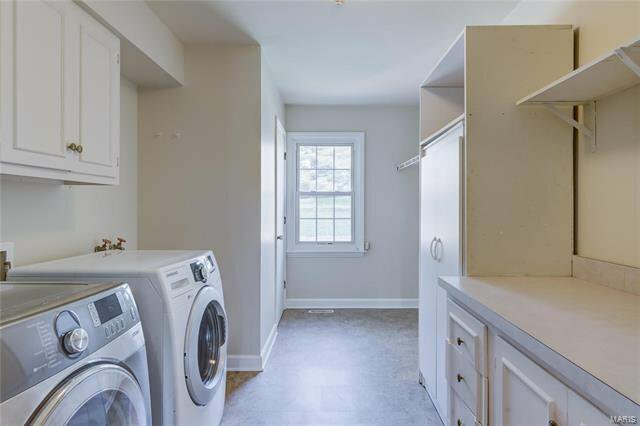 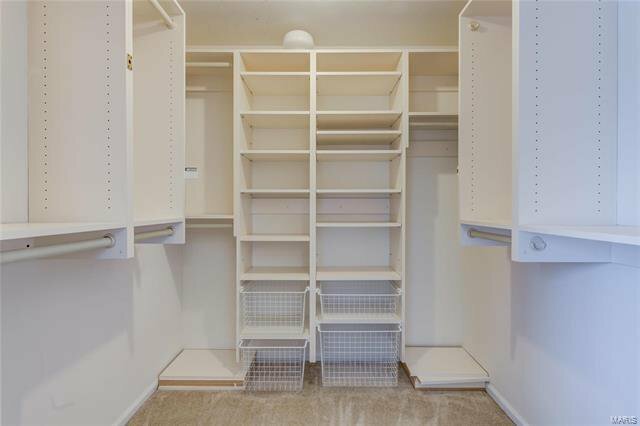 Main floor laundry and mudroom. 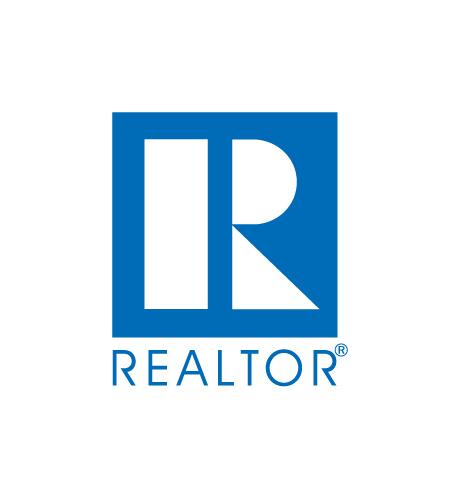 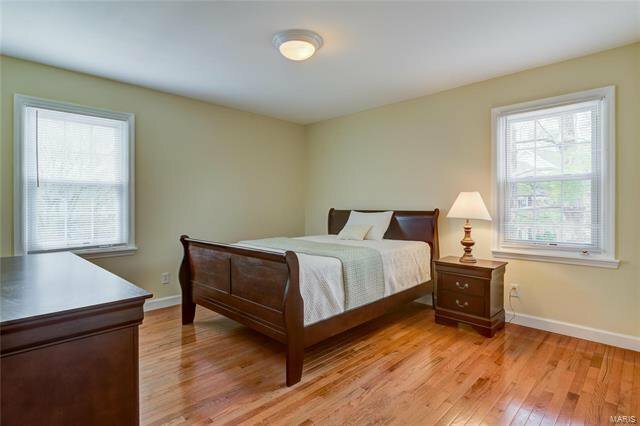 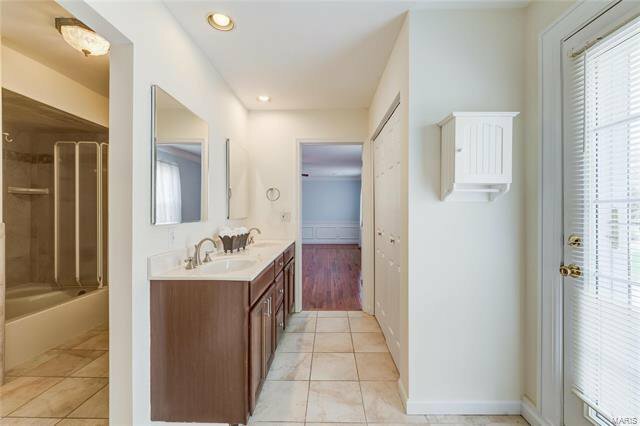 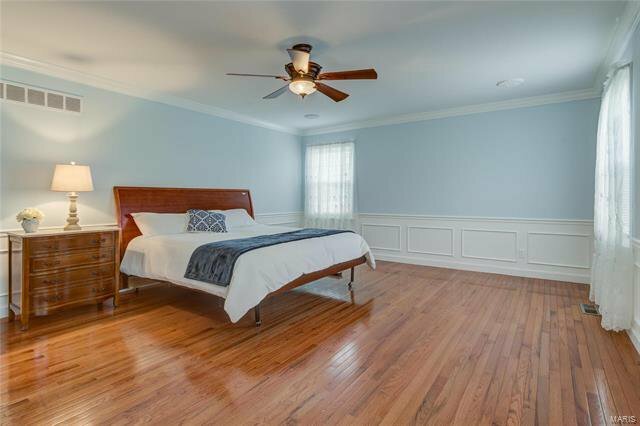 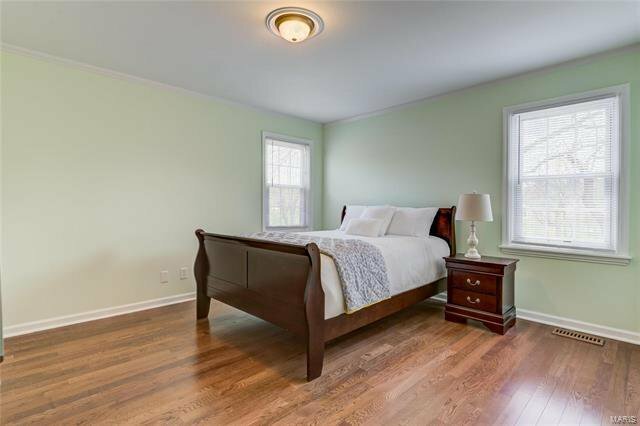 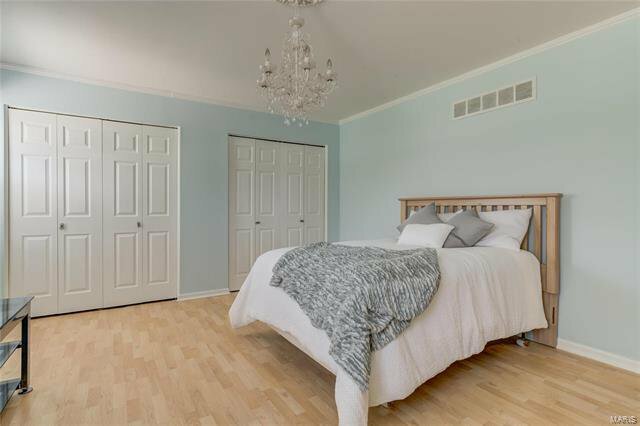 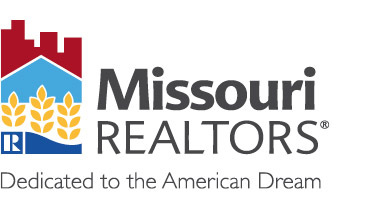 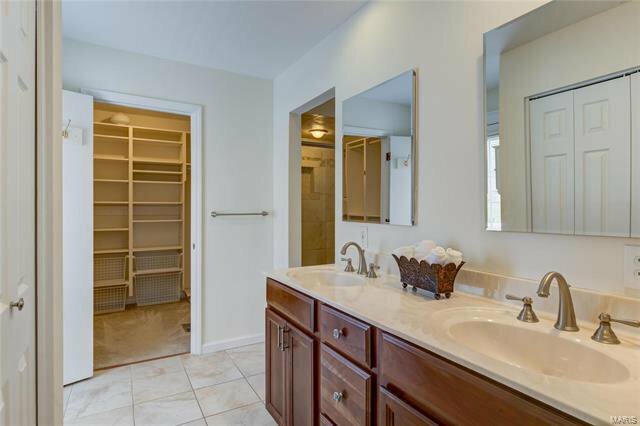 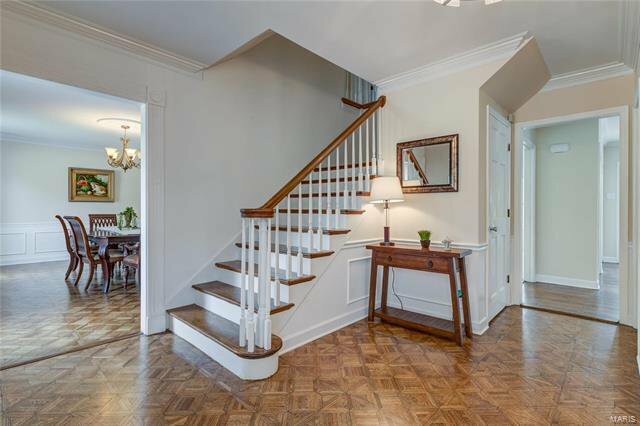 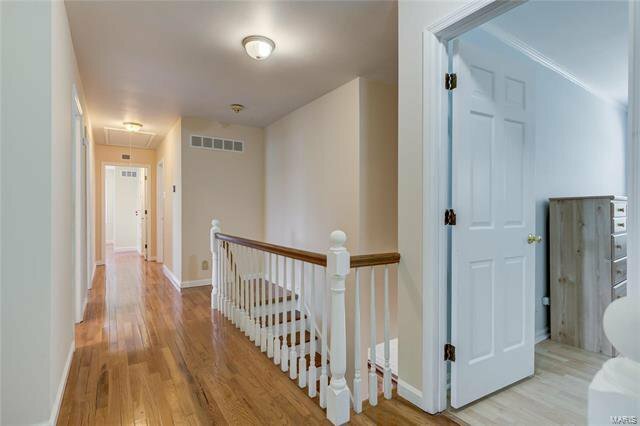 Upstairs are 5 expansive bedrooms and 3 full baths. 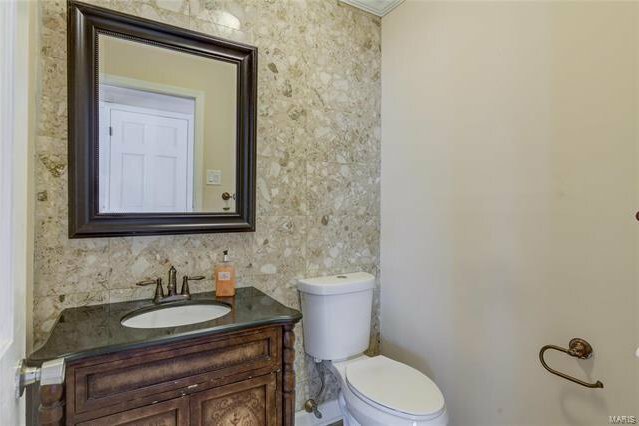 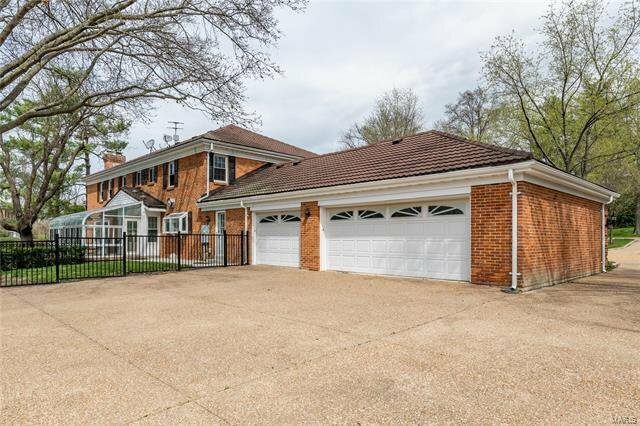 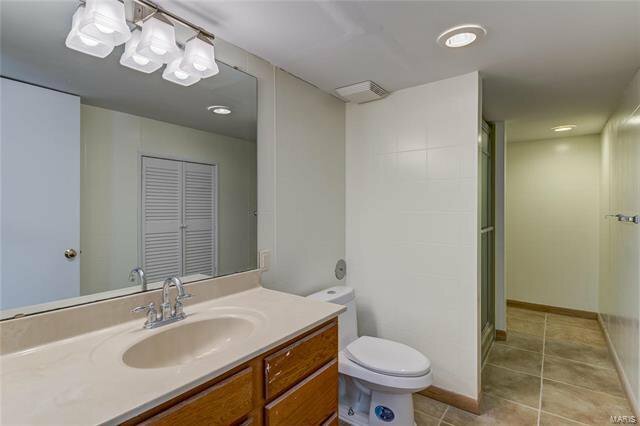 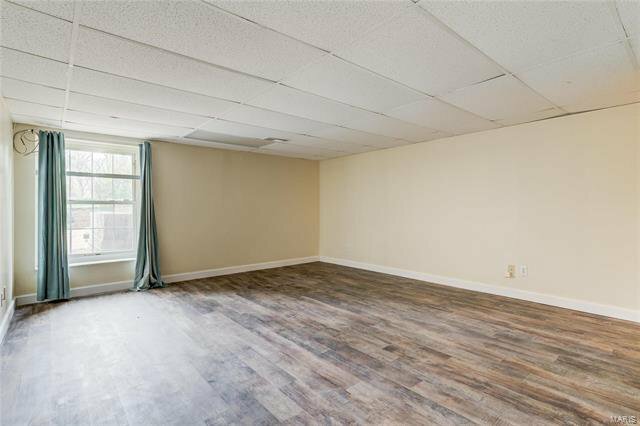 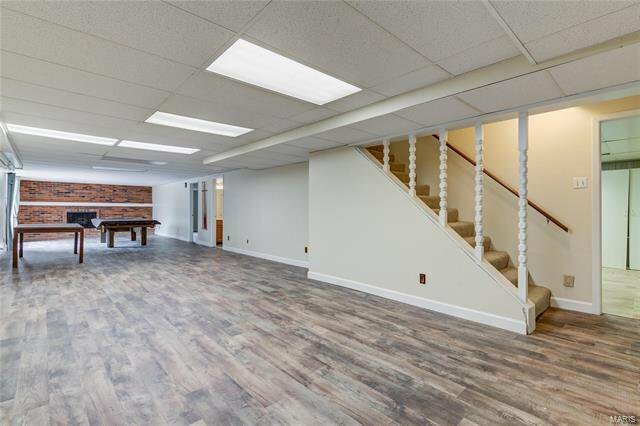 The lower level is great for entertaining with a walk-out to the pool, recreation room with fireplace, full bath, bonus room, kitchenette and bedroom. 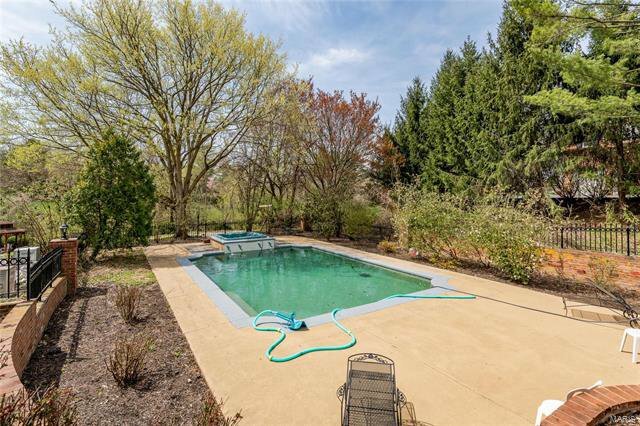 In-ground pool and spa. 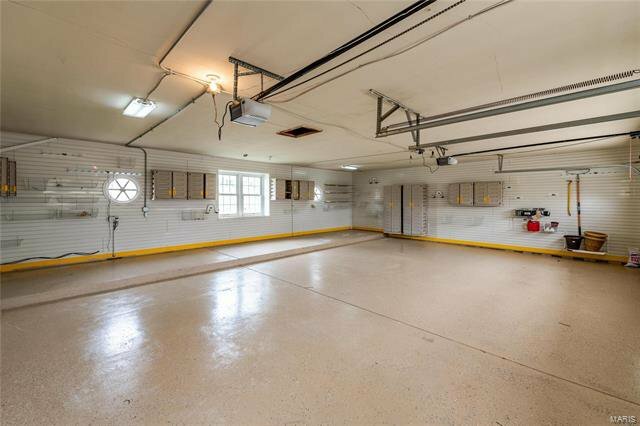 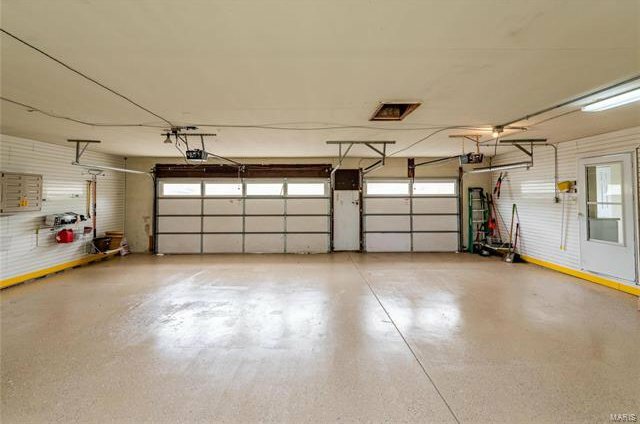 The 3-car garage is oversized with a fresh epoxy painted floor and custom organizer system throughout the space.